Winning is an art. Losing is a science. There are no guarantees that my Eagles will win Sunday’s game against the Dallas Cowgirls, I mean Cowboys. None. But with proper planning, excellent execution, and the ball bouncing just the right way, my Eagles should be fine. In sports speak, that’s called “Art.” That being said, there is a long list of lessons and a lengthy, litany of logistics that must be learned in order to earn a victory and avoid defeat. Losing is a science. It can be done in a few short and simple steps. Just ask this season’s edition of the Philadelphia 76ers (and the Los Angeles Lakers and the New York Knicks, for that matter). Opposite of winning, if you don’t command or at least comprehend the fact that winning is an art, you will easily marshal and master and collect and accumulate the dirty laundry of losing. 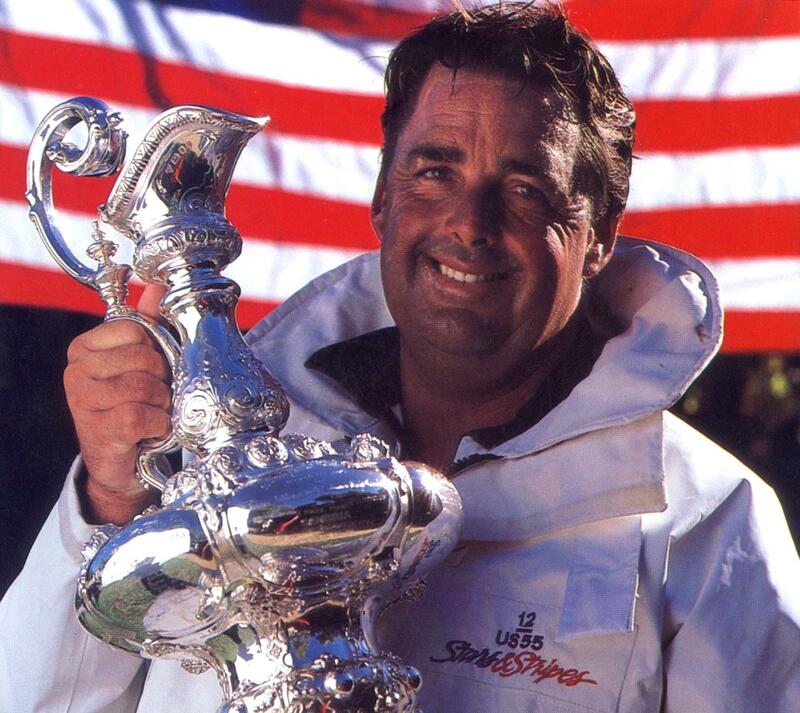 Dennis Conner (born September 16, 1942) is an American yachtsman, known as “Mr. America’s Cup”. He is noted for winning the bronze medal at the 1976 Olympics, two Star World Championships, and four wins in the America’s Cup. 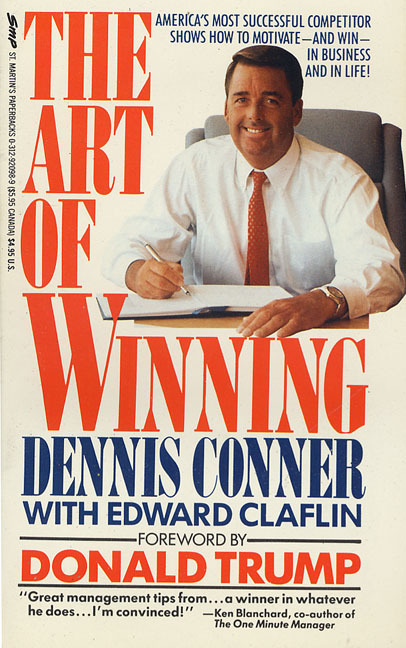 He also wrote the book “The Art of Winning.” I guess I’ll have to add it to my reading list. Winning takes more than “x’s” and “o’s”; it takes more than practice (Practice? Where’s Allen Iverson when we need him! ); and it takes more than having the best team and the best players on paper. Art is defined as “a diverse range of human activities and the products of those activities.” In other words, true art isn’t “painting by the numbers.” It takes skill, savvy, flair and finesse to carefully create a piece of art and to actually envision a winsome win. Losing takes little more than doing all, or just some, of the wrong things. Losing is a science, and science is defined as a “systematic enterprise that builds and organizes knowledge in the form of testable explanations and predictions.” It’s been tried and tested that poor, pathetic players all share the same attributes: they’re lazy and lethargic and listless and lackluster, and they lack the energy and the effort and the efficiency and the effectiveness that it takes to win. In other words, it’s no secret that poor practice leads to poor performance. It’s no secret that team chemistry is a must for team wins. And it’s no secret that excellence and dominance and preeminence don’t just come out of thin air. Team turmoil and problem players are the raw material for licentious locker rooms. And that’s just a start. Pointing fingers and laying blame are part and parcel of a team that has nowhere to go but up. And so if you want to win in life, acquire a taste for art. Not necessarily fine art, but the art of being kind and considerate and congenial and commendable. Learn the art of speaking with salt and giving with grace. Learn the art of being nice and benign, of being benevolent and compassionate, and of being concerned and considerate. And when it comes to sports, never mind mastering the sciences; focus on being an artisan and not being partisan, especially when it comes to dealing with people and persons and folks and family and all sorts of citizens of our society. You’ll be glad you did.